The Ivy House offers a unique blend of old and new, providing a relaxed environment, excellent home made food, comfortable interiors, good beers and wines in a central location. We make our own dough and bake our own buns. 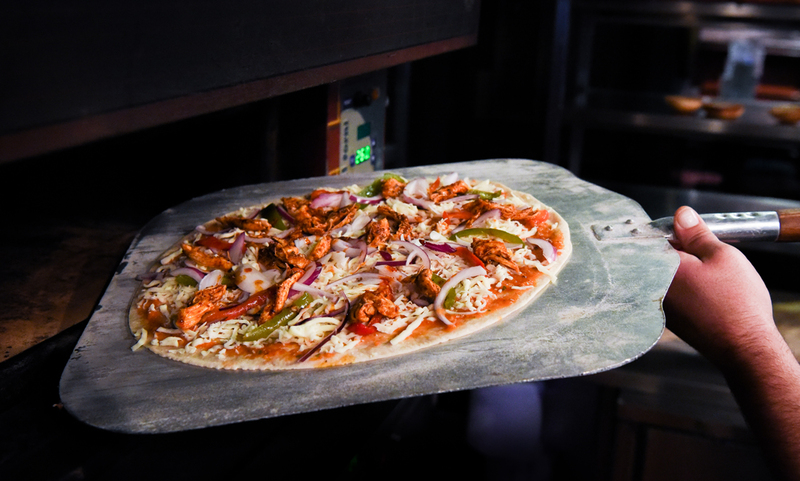 Our pizzas & burgers are as fresh as it gets and all made right in front of you. 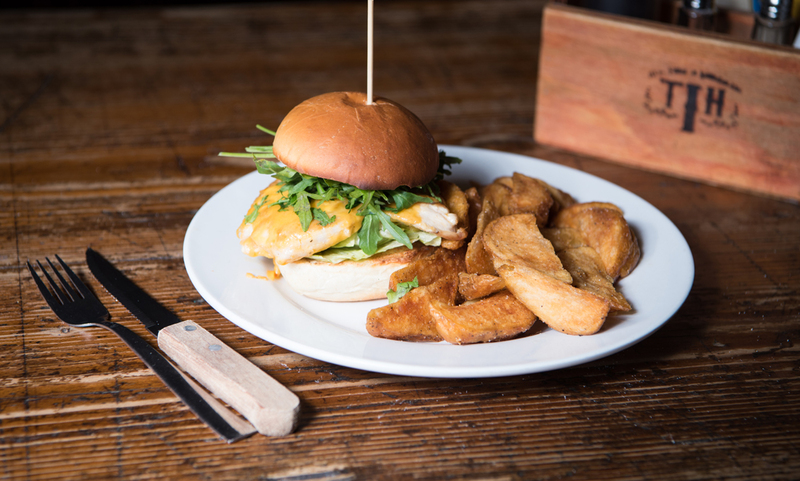 We have built our reputation on good quality food, beers and attentive, friendly service whilst still retaining the local pub feel. In the kitchen we pride ourselves on preparing fresh, locally sourced food and presenting it in an honest but exciting fashion. The menu is based on classic flavour combinations using modern techniques and is updated to meet seasonal availability. Our very own breaded chicken breast topped with Ivy House Marinara sauce, mozzarella cheese & served with our house salad. Our take on the Cuban stew. Made with beef brisket, baby sweetcorn, kidney beans, jalapeños, tomatoes, onion, peppers and our own sweet finish. 3 succulent meatballs or tender pieces of chicken served in our very own Ivy House marinara sauce with your choice of rice or wedges. Handmade succulent meatballs smothered in Ivy House Marinara sauce, red onions and Mozzarella cheese, served in a sub roll. Swedish style meatballs smothered in Ivy House Marinara sauce, crispy red onions & cheddar style cheese. Served in a sub roll. Ground beef, jalepenos, red onions and green peppers. 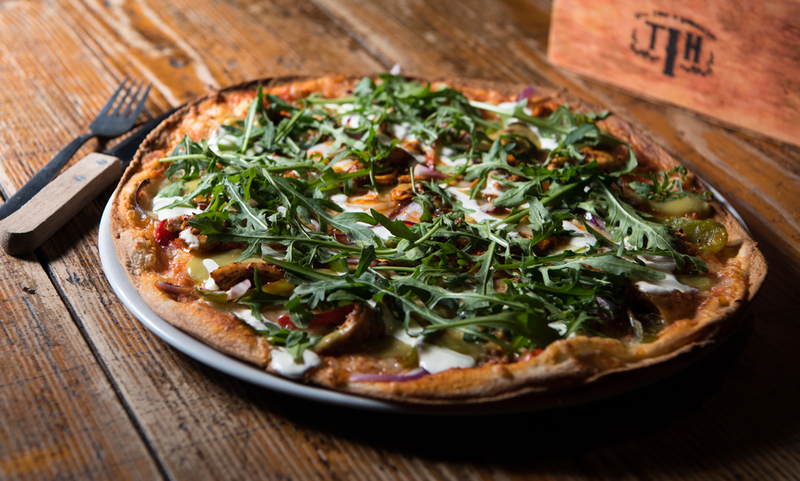 Our traditional Italian classic with sun dried tomatoes cheddar style grated cheese & freshly torn basil. Our gourmet burgers are dressed with salad leaves, tomato and cucumber and served with a side of triple cooked potato wedges. Fabulous starter of flat bread and dips followed by a gorgeous gooey oozy cheese pizza! Lush! Such a hidden gem! Fab veggie options and a fab friendly welcome. Good selection of real ales, burgers are excellent and very reasonably priced, all served by friendly and efficient bar staff. Well worth a visit. All served with homemade Yorkshire pudding, mashed potato, stuffing and seasonal vegetables. Chicken Sizzler or Vegan Chicken Sizzler. Peppers, onions cooked in a cajun spiced marinara sauce. Served on a sizzling hot plate accompanied by guacamole, salsa, cheese & tortillas.